At Mid West Packaging Limited, we are your Creative Packaging Consultants. 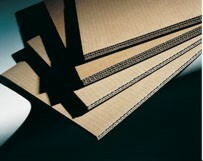 We are a leading independent manufacturer of corrugated paperboard packaging. For more than 25 years, our company has been providing high quality, cost-efficient packaging to small and medium sized businesses throughout Manitoba and surrounding areas. Our plant is centrally located in the St. Boniface Industrial Park in Winnipeg, Manitoba, Canada. Click here to view detailed map. Copyright © 2011. Mid West Packaging Limited. All rights reserved.